The data in a spreadsheet can be used to generate graphs. Google sheets can construct different types of graphs. A line graph can be used to show how a value changes over time. Use your spreadsheet SSRuleOf72 for this exercise. 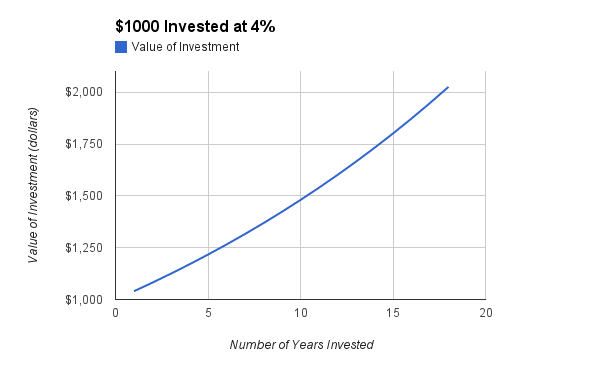 Choose one of the sheets you made to create a line graph showing the growth of the investment over the doubling time. Label the various parts of the chart appropriately. Try following this short video to get you started on this line graph.